Young adult readers want more than stories about wizards or repressed youths. Sometimes they want stories about characters in space, which is why Ethan Young is teaming up with Dark Horse to publish The Battles of Bridget Lee. The Battles of Bridget Lee will take readers on a multivolume journey through space as it follows the world’s next heroine to great heights. 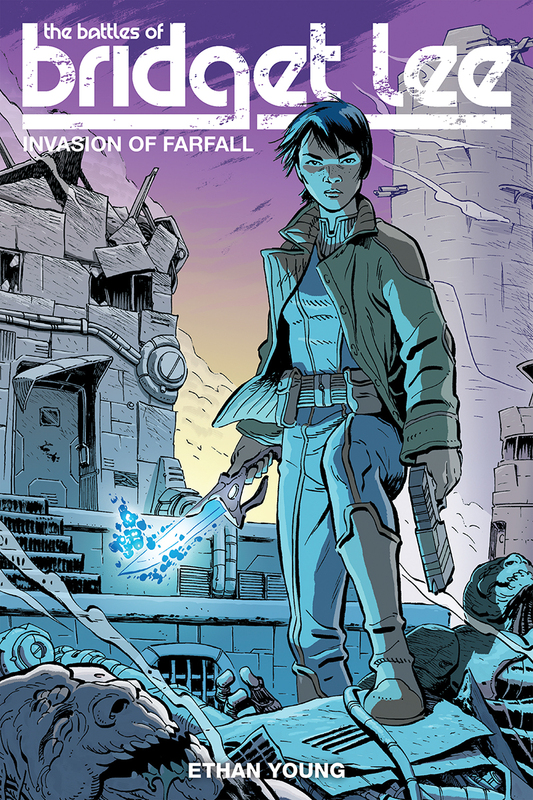 The Battles of Bridget Lee Volume 1: Invasion of Farfall (978-1-50670-012-0) is in stores September 21, 2016. Full press release below. 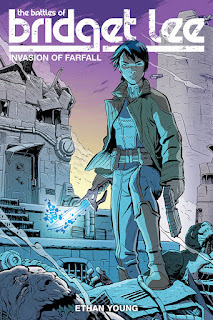 FOR IMMEDIATE RELEASE: MILWAUKIE, OR— This fall, Ethan Young, the acclaimed writer and artist ofNanjing: The Burning City, brings his immense talent to a sci-fi epic full of heart, humor, and heroism in The Battles of Bridget Lee! Ethan Young was born in 1983 in NYC to Chinese immigrant parents. The youngest of 3 sons, he took to drawing at the age of 3. After attending the School of Visual Arts for one semester, Young left to pursue an illustration career. His first graphic novel, Tails: Life in Progress, was named Best Graphic Novel during the 2007 Independent Publishers Book Awards. His works include Tails, Comic Book Tattoo, Wonderlost, A Piggy's Tale, and Nanjing: The Burning City. In addition to comic book work, Young is also a prolific freelance illustrator.